Now that summertime is practically here, all we want to do is eat watermelon and swim. However, we still have a week or so of school left, so we can’t toss in the towel yet! 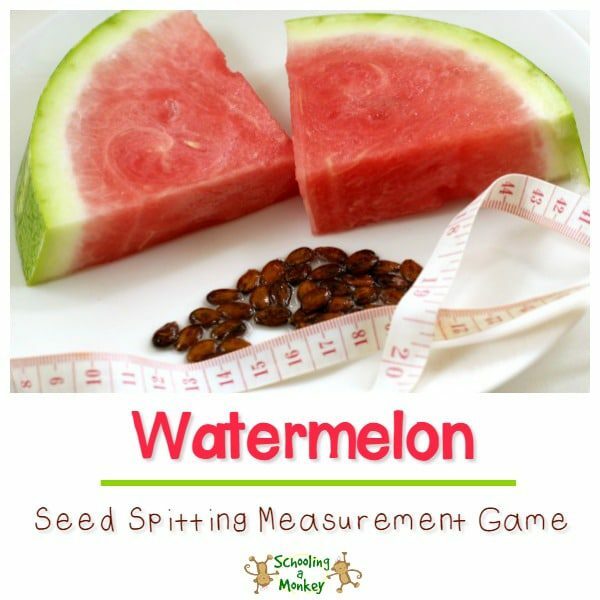 What we can do, however, is make our last week of school more fun, like with this watermelon seed spitting measurement game. 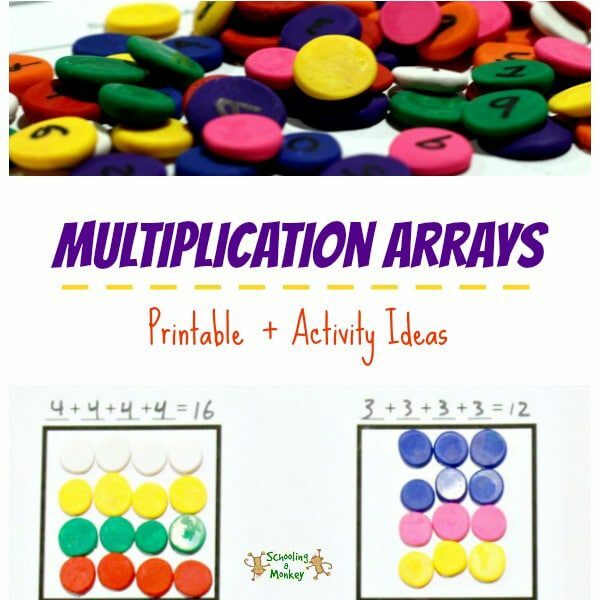 This is one of our favorite stem activities to date! 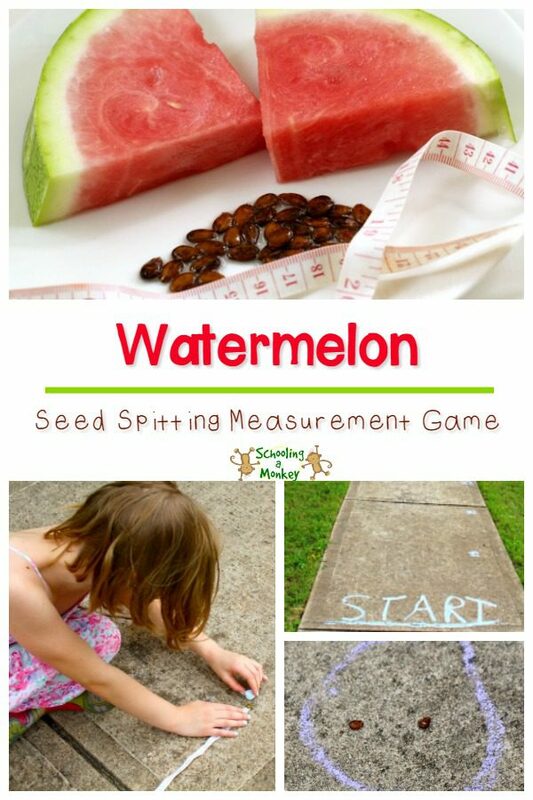 We had a blast playing the watermelon seed spitting measurement game and we hope you do, too! 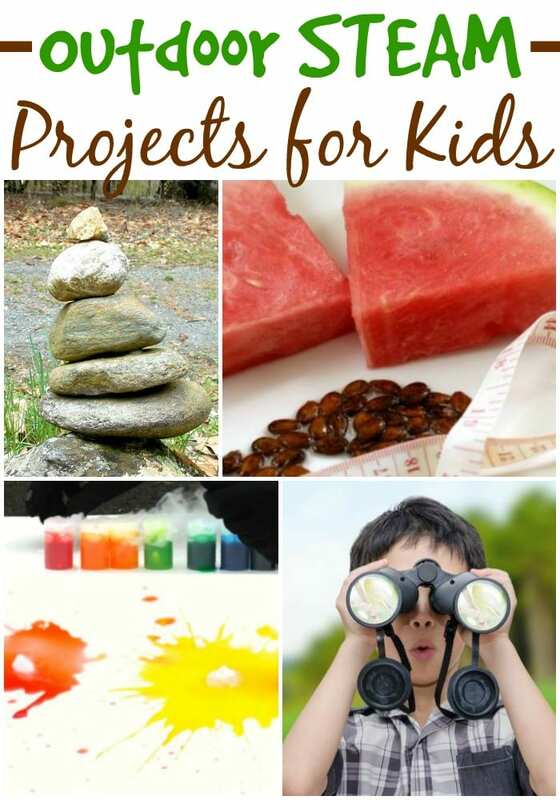 The hardest part of this activity was finding a watermelon that had seeds. I had to look at three stores, but I finally found one at Walmart that was from a local seller. This was in Texas, but I bet you would have more luck finding a seeded watermelon at a farmer’s market. 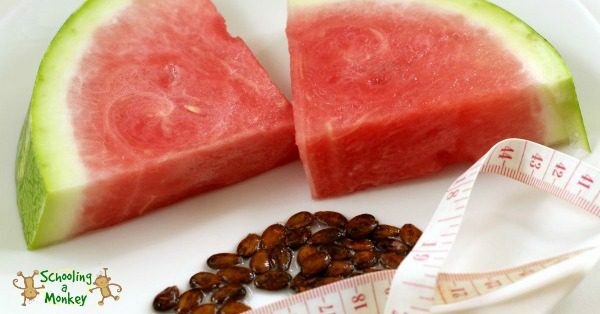 Eat your watermelon and set aside the seeds. Make a start line on the sidewalk where the kids will stand to spit the seeds. Have the kids do a practice spit to see how far they can spit the seeds without trying too hard. 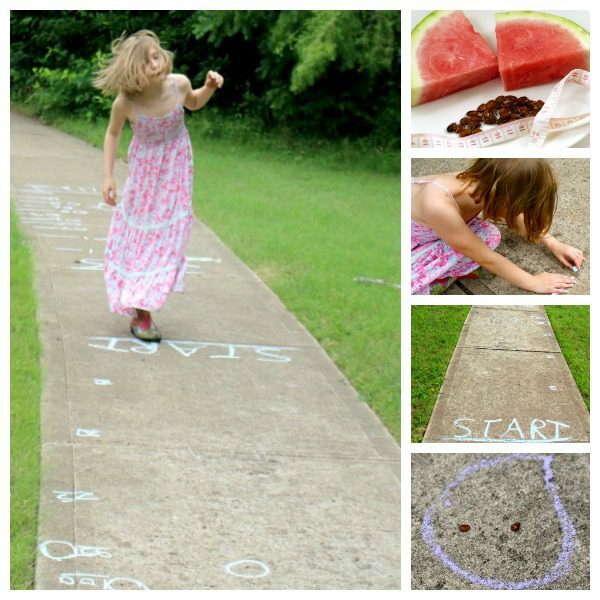 Measure the distance of each “pace” seed and mark it with sidewalk chalk. Our first “pace” seed traveled about 100 inches. Take turns trying to spit the seeds as far as you can. 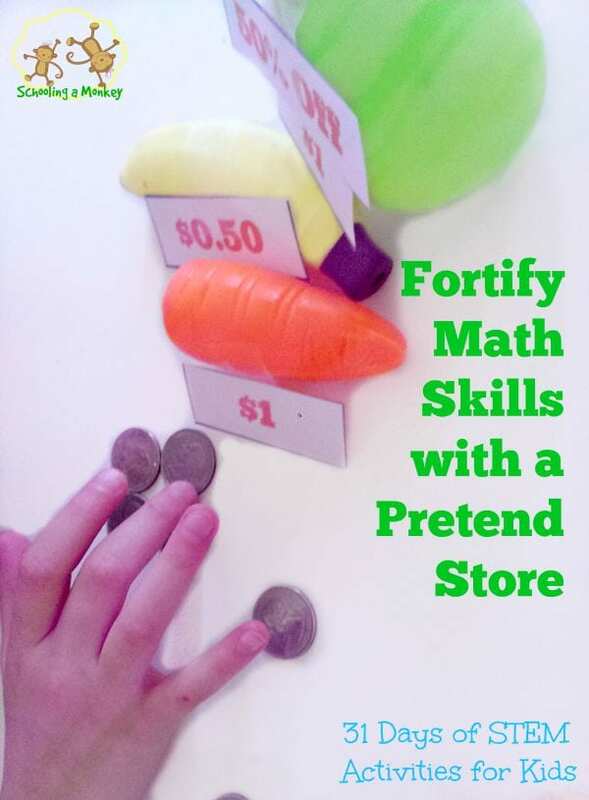 Here is where you can get as mathy as you like. Estimate how far you can spit a seed. Measure the distance between each seed after it lands. 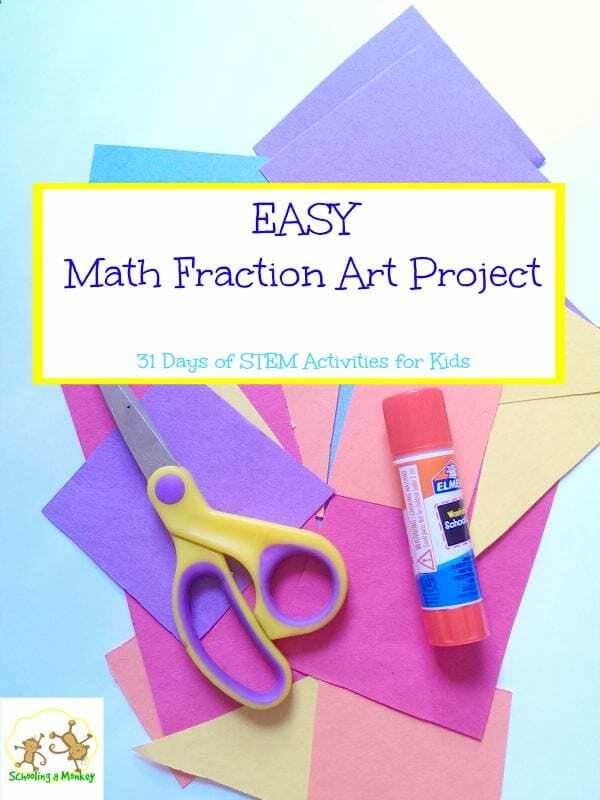 Calculate the average distance that the speeds traveled. Calculate the probability of landing seeds in the same spot. Make a graph that shows the distance of all seeds. Determine if height, age, or spitting technique affects how far a seed can go. Try to spit a seed to a pre-specified distance. Measure the angle of the spitting technique that makes the seeds travel the greatest distance. You don’t have to stay cooped up inside the last few weeks of school. 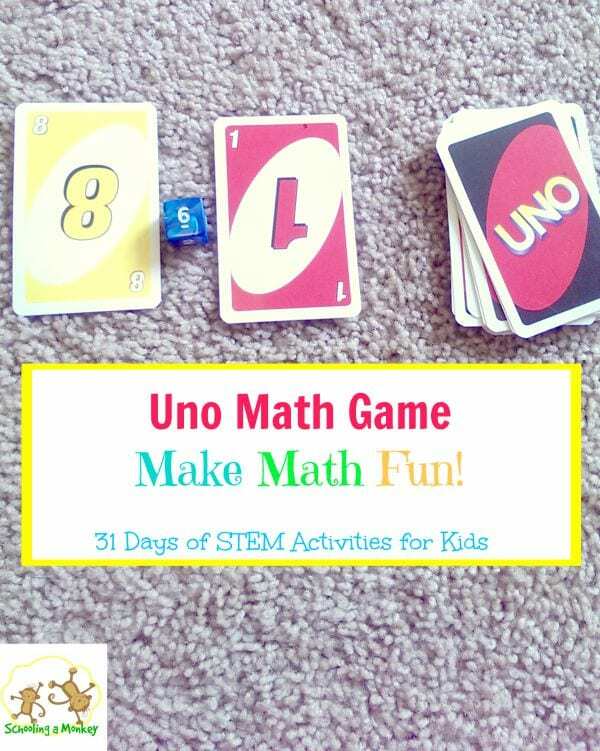 The watermelon speed spitting measurement game is the perfect hands-on math activity to try when your kids are board of indoor learning.